The DUI charges in Maryland are taken extremely serious and with them come severe penalties. If you were caught driving under the influence and you want to know more about the DUI penalties in Maryland you have come to the right spot. In this article, you will learn more about the DUI penalties and the importance of getting the help of a personal injury lawyer from Maryland. In Maryland, the maximum penalty for a DUI charge is $1000 fine and/or one year in jail. Most of the time, the maximum sentence is not given, only in the worst case scenarios, if there are casualties, etc. In many cases, the judge will offer the first offender an opportunity to get Probation Before Judgment, but not all the time. In addition to this, there is a broad range of sentencing options at the disposal of the court for people facing a first offense. That is why you should have a strong DUI defense for your case. With the help of an Annapolis injury lawyer, you can reduce the sentence to a minimum and avoid having to go to jail. What other penalties are there? A common practice is the split sentence. When the court issues a sentence of a year in jail and suspends all but 30 days (for example), you will have to serve 30 days, and the other 11 months you will be in a period of probation. If you violate the terms of probation, then the judge will reinstate the suspended 11 months of the sentence, and you go back to jail. Your Annapolis injury attorney can help you receive this type of split sentence. Another important matter that you have to keep in mind is the concept of probation for a first-time DUI. It is crucial for the defendant to know that probation is a period where a court system will supervise them. 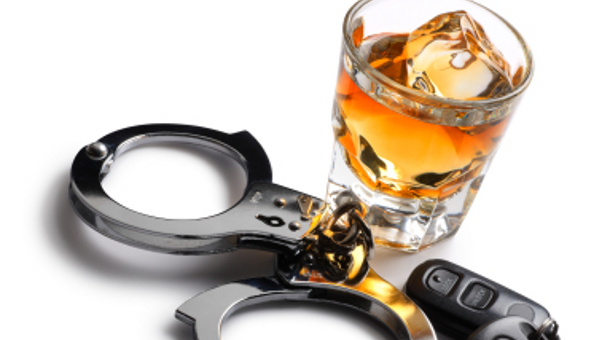 Most of the time, probation is typical for first-time DUI and the defendant needs to accept that if they are placed on probation, they could be supervised. In Maryland, probation is mostly supervised, which means that the offender must report to a DUI probation officer from Maryland. The contact can either be in person (a couple of time each month) or over the phone ( through the telephone). It is up to the DUI probation officer in Maryland to determine the how the contact with the defendant should be. Together with your Annapolis injury lawyer you can contact your probation officer and find out how you should report to them and how often. The judge could order an evaluation to determine if the defendant has alcohol issues. If, after the evaluation, the conclusion of the court is that the accused needs treatment, the defendant must complete the treatment successfully. If you do not complete the court’s requirements which were imposed and did not respect the probation terms, then you should expect coming back to the court together with your Annapolis injury attorney, for a violation of your probation. Contact the best personal injury lawyer for more information about DUI and a free consultation of your case at (443) 569-3950 or by email: [email protected].